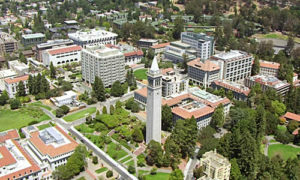 Since housing, recreational, and meal-service infrastructures on U.S. college campuses are often underutilized during the summer, why not open them up to illegal immigrants and their families, a a senior fellow at the Hoover Institution proposed. The “half-empty residence halls at American colleges and universities” could “help house families from Central America and Mexico who await adjudication of their asylum claims,” Victor Davis Hanson wrote for National Review. “The federal government could contract out to universities such as UCLA, Stanford, Cal-Berkeley, and large public universities in Colorado, Arizona, and New Mexico to offer migrants temporary summertime shelter and sustenance. Law schools could offer pro bono legal counseling, and medical schools could offer health services,” Hanson wrote. “It also makes no sense for college students to venture far and wide for internships when they could be enlisted on campus over the summer to tutor children from Central America and monitor their safety and treatment,” Hanson wrote. Studies show that immigration “works best when new arrivals are fully integrated into diverse schools, neighborhoods, and social activities,” Hanson noted. Yet, “the huge, multibillion-dollar market capitalizations of West Coast giants such as Amazon, Apple, Google, Facebook, and Yahoo have so far not led to more affordable housing, more diverse top-flight public K-12 schools, or a growing middle class energized by new arrivals from Mexico and Central America,” Hanson wrote. Hanson continued: “Zoning and environmental laws drive immigrants into enclaves and ghettos. Gentrification ends up in the eviction of the first-generation immigrant poor from already overpriced rental units. Will the Hollywood elites be willing to “live among newly arrived immigrants, associate with them as equals rather than as the help, and promote public schools by ensuring that their own children and grandchildren attend them,” Hanson wrote.